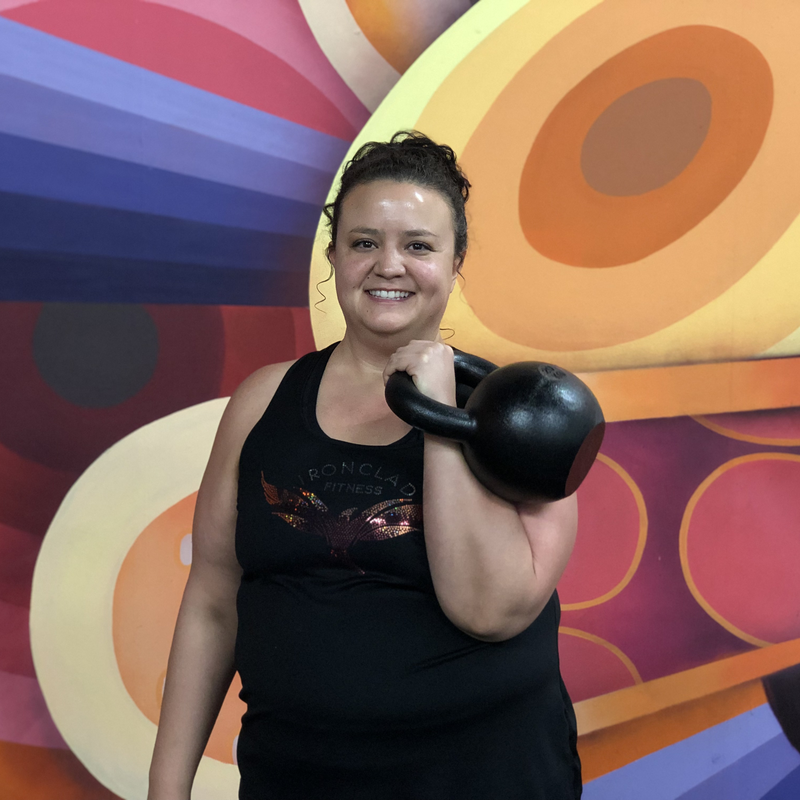 Kristen first heard the word kettlebell in 2012, while searching for fitness classes, and it just sounded more interesting to her than other types of exercise. Kettlebells were the first type of exercise Kristen enjoyed and wanted to stick with. Shortly after this, she found Iron Clad Fitness and Kristen quickly became the strongest woman at the gym. In 2016, Kristen wanted to take her knowledge of kettlebells further so she earned her HKC kettlebell certification for the personal challenge of it. After a rough year of motivation challenges and inconsistent training in 2017, Kristen fought her way back and recommitted herself to consistent training with the one thing she loves; the kettlebell of course! She then took things to a new level by deciding to use her HKC certification and 6+ years of kettlebell skills to teach at Iron Clad. We are so thrilled to have Kristen as part of our instructor team!